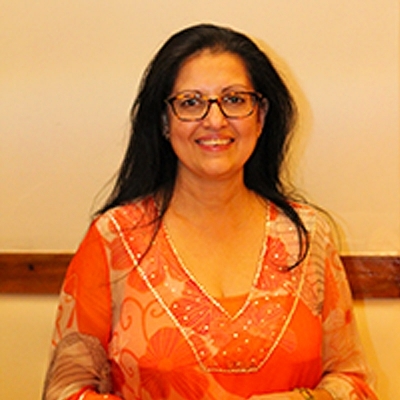 Through her private practice in Brisbane (Australia), Sukhwinder provides therapeutic support to clients spanning many countries. As an International Trainer, she presents the foundational course in "The Journey" technique in Malaysia. Sukhwinder finds Journeywork to be the quickest and most effective technique to deal with core emotional and physiological issues. Using heart-centered approaches, she draws on her skills, intuition and experience to help others release blocks so as to create optimum health & wellness. Through offering the different modalities, she helps her clients to connect to their inner essence and integrate in mind, body and spirit to free themselves from the limitations that bind them – to live a life of fulfillment and contentment.Sukhwinder is a Health & Wellness Therapist with an international client base in Singapore, Malaysia, Sri Lanka, Indonesia, Hong Kong, Australia & USA. She also provides specialist therapy work for Health Retreats like Mt Ninderry Healing Centre (Sunshine Coast, QLD) and at the award winning Gwinganna Lifestyle Health Retreat in the Gold Coast, Australia. Ayurva is both honoured and privileged to welcome Sukhwinder on board as a Specialist Consultant to offer the best, authentic treatments and complete wellness packages to our guests.